Hop around the grid this Easter with our cute mesh Bunny Hopper! 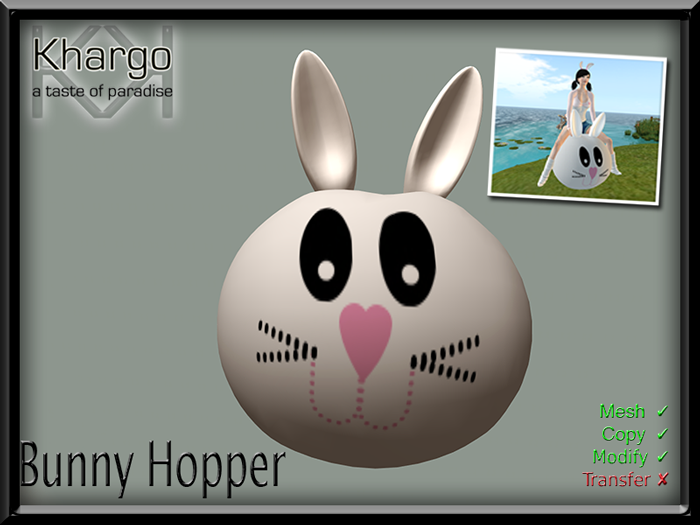 The Bunny Hunt runs from the 10th March to the 10th April and there is a 1L$ charge for each item. The hunt prim is a cute bunny. Find it in store at Khargo: Furniture, Landscaping & Custom Building.